What a week! Not one, but 2 Tribute releases, one long awaited update.. well, you'll see what I am talking about shortly. On Monday, we got new Tribute store release - this time it was Inspired by Marc Jacobs Tribute. The collection is really, really dark. Most items are High Couture, lots of unusual and dramatic outfits. We've got all sorts of items, such as dresses, jackets and coats, some boots, fur, etc. I don't really like wearing that dark outfits, but adding some pop of color could really help make a fab outfit. Still, not my favorite Tribute from the season. On Wednesday we got new Callie's Picks Decor, called 'Midsummer Dream'. The collection is really beautiful, it reminds me of those hot Summer days, and the scene is some sort of picnic. We have a rug, basket, some fruit, a bench, few adorable animals, and of course, a gorgeous background. Given that we haven't had CP Decor for a while, it would be nice having those releases more often. The same day, Stardoll finally introduced an update we've waiting for for a while - a lock function for our closets and storage. While I am the person who loves browsing through other users' wardrobes, and with this update it may become difficult, I am actually glad we got it. I was really tired of people just causally browsing my closet, taking photos and asking to buy stuff, even i mentioned on my presentation, I literally begged people to stop asking me that. Well, at least I don't have to worry about that now. 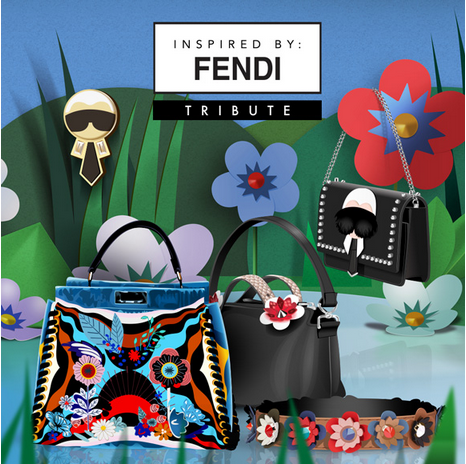 On Friday, we got another Tribute release, this time Inspired by Fendi Tribute. The collection consists mostly of bags, all sorts of them - small and big (and really big), patterned and plain, and we got some cute accessories too. As a person who doesn't give much into accessorizing, (though I should), I only got one item. I may buy several other bags, but since the store will stay for at least a month, I will have time to think and decide. And today (Sunday! 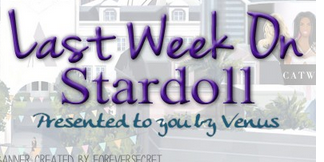 ), Stardoll announced July HotBuys. Ok, before I start commenting stuff, does anyone agree that the doll on the left really reminds of Evelyn Powell from Devious Maids? It was my very first thought when I saw the pic. HotBuys are okay, nothing exceptional, but not that bad either, nice, casual wear for hot summer days. What bothers me is Stardoll has another issue that needs to be resolved asap, (I am sure that, unfortunately, you know what I am talking about), and instead of doing that, they decide to release next month's HotBuys! I don't mind, but no offense, please, Stardoll, set your priorities straight! That's it. Another great Tribute is coming tomorrow, and I am looking forward to next week to see what other releases are we going to get. But until that, vote on the poll, comment, and see you next week.